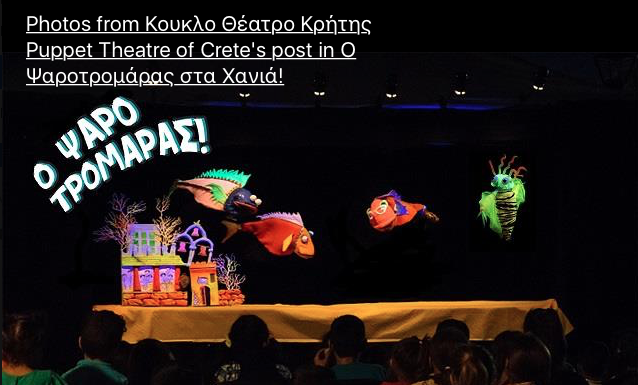 With the technique of Black Theatre, impressive scenery and colors the avant-garde puppet theatre presents this show for children up to the age of 12. A project that talks about democracy, solidarity and ecology. A successful fairy tale of Froso Hatoglu, wherever it has been presented.